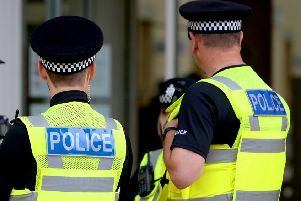 Lincolnshire Police hopes to reach out to more victims of hate crime by supporting Hate Crime Awareness Week, which starts tomorrow (Saturday). The purpose of the Hate Crime Awareness Week is to tackle hate crime issues by raising awareness of what hate crime is and how to respond to it, by promoting local and national support services and resources. One of the key objectives of the week is to encourage reporting and help signpost people to support. Insp Dan Whyment, chair of the multi-agency Hate Crime Delivery Group, said: “It’s clear that people in Lincolnshire have confidence in reporting race related issues and that is really encouraging but we want to do more to help victims of other hate related crime. “We know that those affected by disability hate and LGBT hate are sometimes uncomfortable approaching police to discuss their worries and this is where Stop Hate UK, an independent third party reporting body, can really offer a lifeline. “Stop Hate staff are able to offer support and guidance and have direct access to the most appropriate agency to meet a victim’s needs”. Andrew Bolland, from Stop Hate UK, said: “Hate Crime Awareness week provides an opportunity to increase awareness of all forms of hate crime including that based on disability, faith, gender identity, race and sexual orientation. “Hate crime is a form of abuse that specifically targets a person’s identity and is recognised to have a disproportionate impact on those that are subject to abuse. “Hate crime frequently goes under reported and we would encourage all victims and witnesses to report incidents when they happen so we can make Lincolnshire a safe and inclusive society. “Incidents can be reported directly to police on 101 or 999 or alternatively national charity Stop Hate UK are commissioned to provide their independent 24 hour reporting service throughout Lincolnshire. “Service users can contact the service via phone on 0800 138 1625 or alternatively via text, email, webchat and online form – details can be found here where they will receive specialist emotional and practical advice from trained operators who can also provide onward referrals to Lincolnshire based partner agencies”.